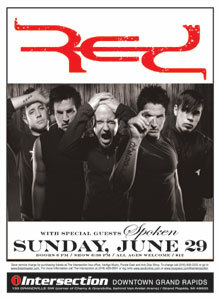 Red is one band I have wanted to catch live, but something always comes up to prevent me from going . Hopefully I will be able to catch them this time. You can go to www.sectionlive.com for more info on the June 29, 2008 show.